I like it a lot. The headstock is very sleek. Wow... that looks great. I can't wait to see how it turns out! Cheers. Will keep you updated. 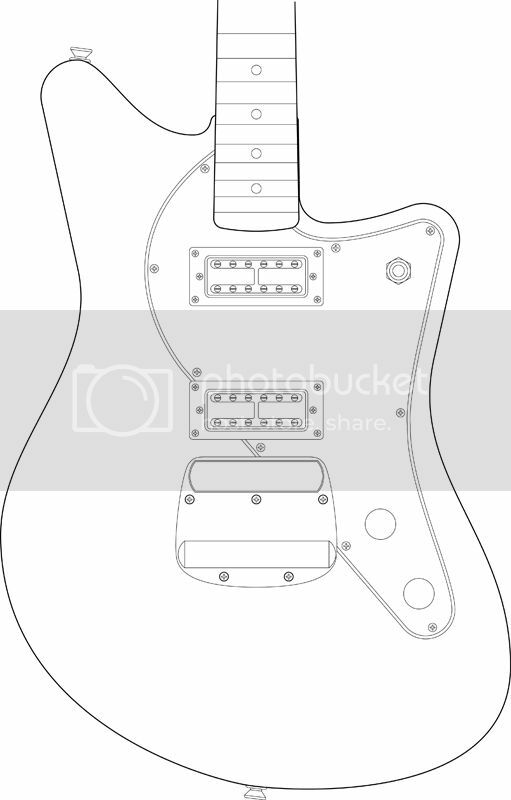 Going to make the routing/cutting templates first then see about getting wood for the body sorted. Think my friend wants one so will probably see if I can do two at the same time. Also been working on a Semi Acoustic for a bit. Can't see me building it anytime soon. Thought I'd get some opinions? OK... 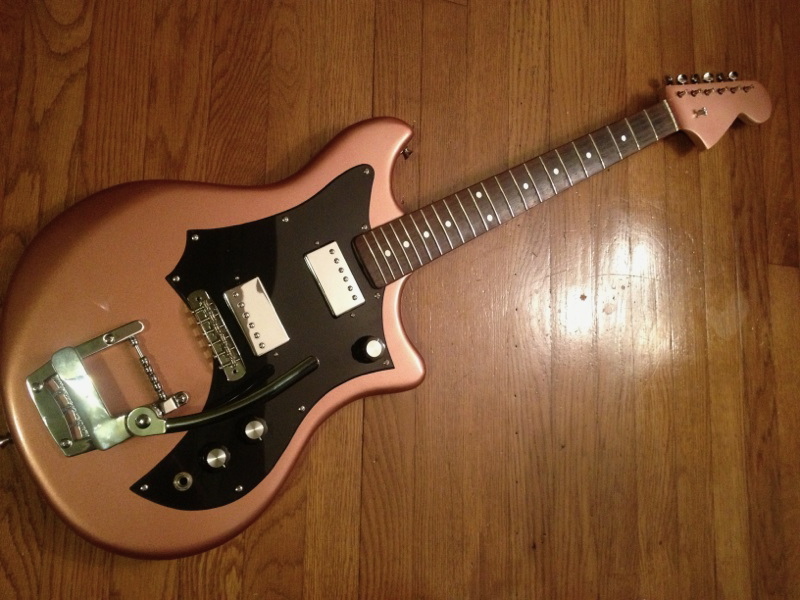 Here's one with a reconsidered headstock shape. 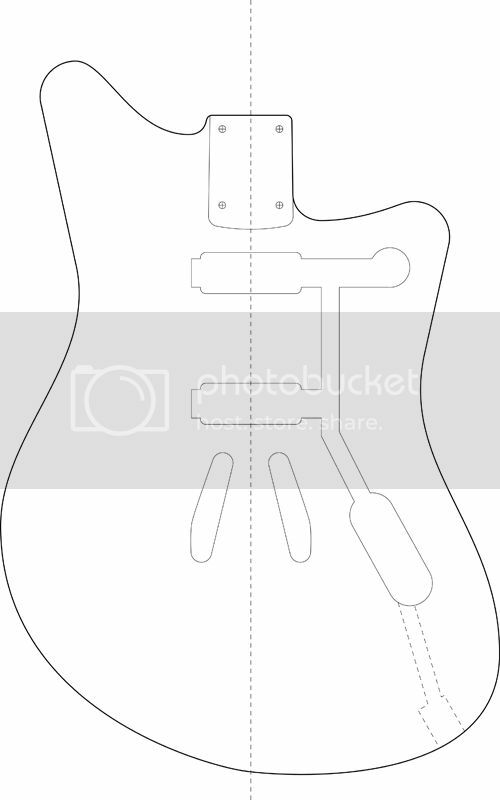 I thought that seeing as I used a fairly reductionist attitude with the body shape I'd do the same for the headstock. That looks amazing. I can't wait to see it built. This was going to be my EXACT POST. so.. there we have it. Oh yeah.... it is a bit similar. Not to worry. Here's what I've got now. I've repositioned and changed the switch. I also thinned it down a touch in the lower end. Also drew up a preliminary routing diagram. Don't have exact sizes for some of the parts so will most likely have to change it a bit, but does it make sense? For the jack I figured I'd drill a 10mm hole to connect to the main cavity then dowel it back up and re-drill with a larger hole to accommodate the jack. my first post was before i saw the modifications to it. this looks like an absolutly beautiful concept, can't wait to see how it progresses. Quick question about trem choice. What do you folks think is better? 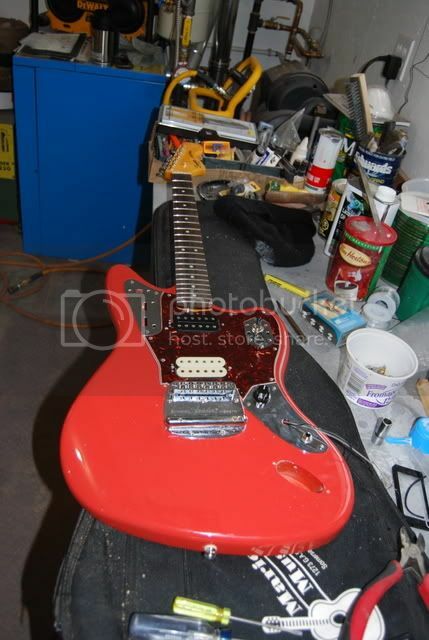 Jag, Mustang or was thinking perhaps a Bigsby to go with the Gretsch aspect? Have you played all of them? 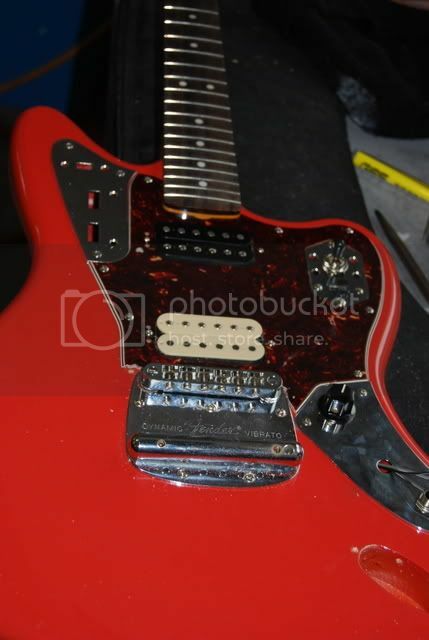 In terms of aesthetics, I think the jag trem would even out the whole thing out a bit. 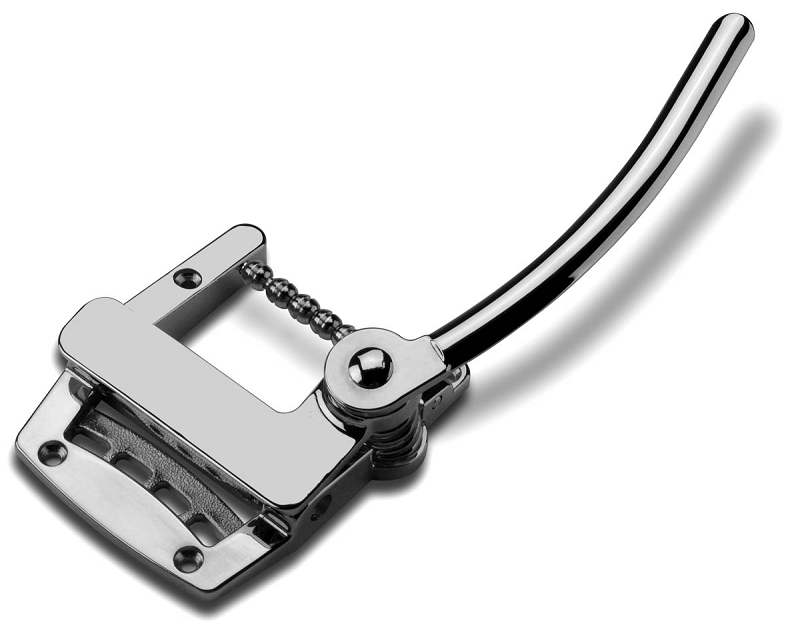 I prefer the mustang trem though and I don't think a Bigsby would work well with the design. Nah... I've got a Jaguar and tried a Bigsby but never tried a Mustang... You don't see many of them in Glasgow it would seem. 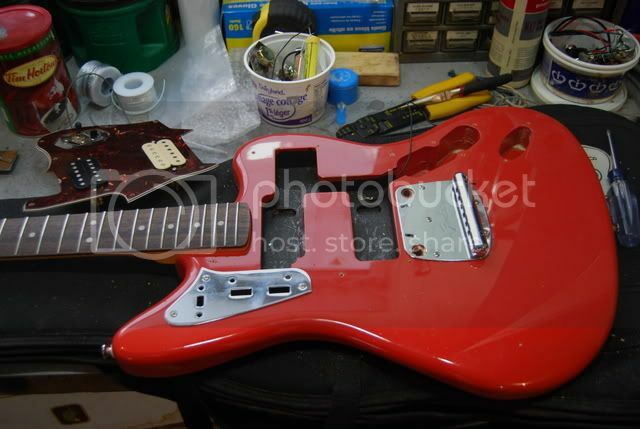 Might just go for the Mustang trem? Something new I guess. Always think it looks kinda big, but the size of the PUs might balance it out? I used the xtrem from GFS on my last build and it works great and is easier to string up than a Bigsby. I did not want mine to look like a fender knockoff so I think it worked out great. I think the mustang bridge would look great on yours also. I like the xtrem on that guitar, but think it's a touch too deco for mine? I think I'll go with Mustang for mine. My friend that I'm doing one for might want a different set up, so I'll offer these suggestions to him. Cheers. i'm kinda drooling over it already.. Anyone used David Dyke for their wood before? He's got swamp ash at �65 for a one piece and �45 - �50 for two or three piece. Seems decent? Thought I'd put together a plan for a bass version while I get together some stuff for the other one. its cool looking man, got any other shots? Not sure what you mean by shots? I noticed you made a semi when I was looking through the threads. Any advise or good tutorials you could point me towards? Looked pretty nice by the way, but most of the picture have gone.